We are leading manufacturer of Metal Crutches. Owing to our technical prowess, we have surpassed the competition by developing premium grade Round Pipe Axillary Crutches. We have developed a modernist work setup and providing a premium range of crutches that can be molded for both right and left hand. The offered models are designed with a round pipe which ensures durable performance in rugged conditions. Made from heavy duty material under the deep scrutiny of our quality experts, our offered crutches are highly durable and can be availed from us at a competitive price. We are recognized as the industry leaders by developing finest grade Axillary Metal Crutches. Our offered crutches are designed specially with keeping the user convenience in mind. We have invested in modernist techniques and bring forth the innovatively designed crutches that are used by injured or physically disable persons who cannot walk without support. 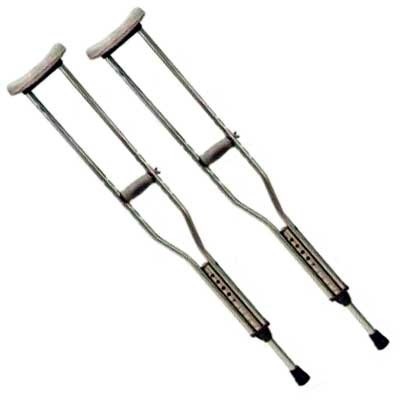 The offered crutches are made from premium grade material and molded for both right and left hand sides. 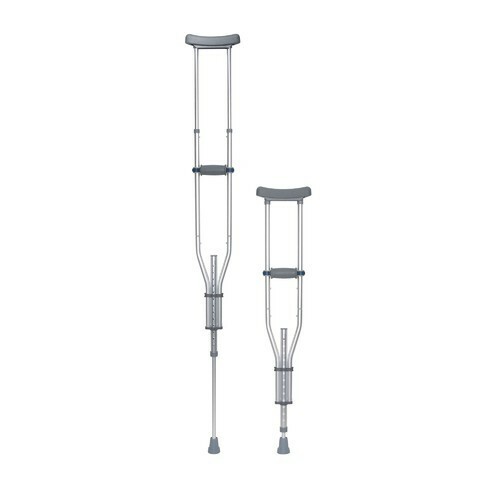 Further, our prestigious clients can order the high performing crutches from us in varied sizes at a competitive price. Standard Metal Crutches is used by disable people by inserting the arm into a cuff and holding the grip. The offered metal crutch is designed using high grade metal with soft material for cuff making and modernized machinery under the management of our experts in accordance with guidelines set in the market. 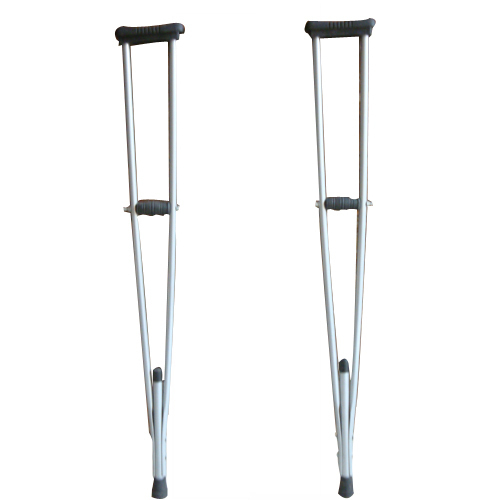 We offer this metal crutch in different sizes at reasonable price to our customers. Aluminium : 15.5 mm and 25.4 mm Light Weight Pipe cushion fitted on wooden. Adjustable System in all different Sizes. We manufacture and supply MetalCrutches which are useful for users with an injury or disability affecting one or two lower legs. Crutches function by strapping the affected leg into a support frame that simultaneously holds the lower leg clear of the ground while transferring the load from the ground to the user's knee or thigh. Crutches also prevent damage of nervous systems due to their qualitative balancing system. 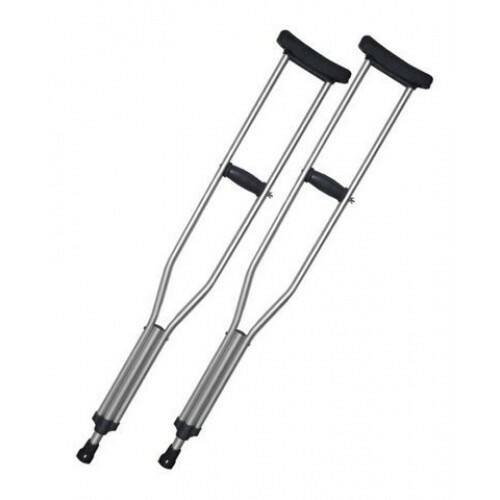 We also provide fixed and folding metal crutches.